With more than 40 years of experience, A/S Balticovo is the most modern and major egg and egg product (cooked eggs, liquid and dry egg products, mayonnaise) producer in Northern Europe. Moreover, Balticovo is among the top 10 leading egg production farms in the whole of EU. Balticovo focuses on products friendly to human health and is constantly developing by using the most advanced production technologies. Poultry feed is the largest cost in the egg production process. The ability to predict any possible abnormalities in the total volume of egg production and the factors affecting it can prevent the causes of adverse changes before they occur (e.g. appropriate veterinary intervention). In addition, the farming industry is affected by matters of animal welfare. Our society is becoming increasingly interested in hen feeding and the use of medication at farms. While modernizing their IT systems, Balticovo saw the possibility to improve their egg production operations and take the well-being of hens to the next level. 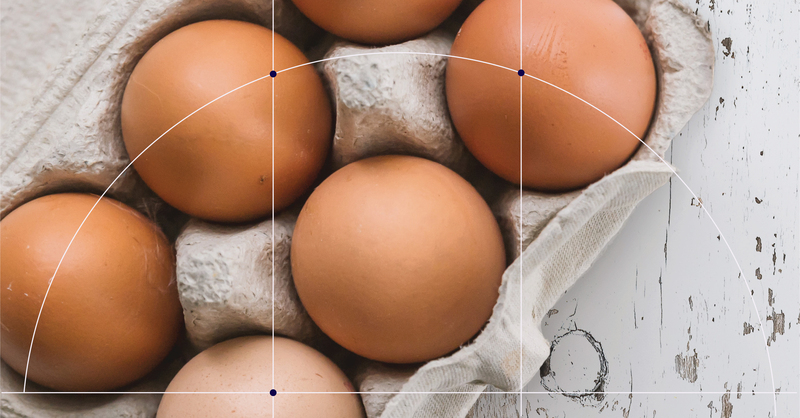 The aim of this solution was to create a technological basis for the framework used in the forecasting of egg production and in the early detection of anomalies, identifying the most inﬂuential indicators for pre-treatment, using what is called Machine Vision. With that in mind, dots. (previously, SQUALIO cloud consulting) developed and implemented a Microsoft Azure cloud and Artiﬁcial Intelligence-based, modular and uniﬁed system along with an IT platform for poultry ﬂock management. 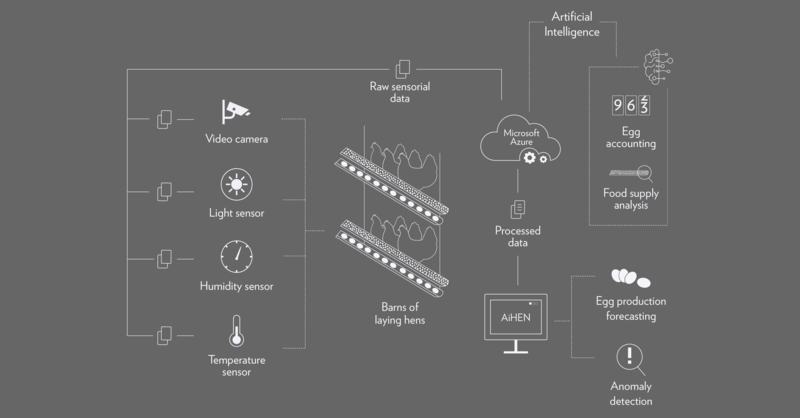 The core purpose of AIHEN is to use data accumulated from various sensors, such as temperature, humidity, light and video cameras together with Microsoft Azure Cloud to predict the production volume of laid eggs and to use Artiﬁcial Intelligence to automatically detect anomalies in the feeding supply; a really tough challenge for human eyes only. Microsoft’s cloud-based solution allows Balticovo to achieve a higher level of modernization, better organizational efficiency and closer collaboration between the enterprises. Thus, providing more opportunities for export competitiveness and helping to avoid overproduction in the market. 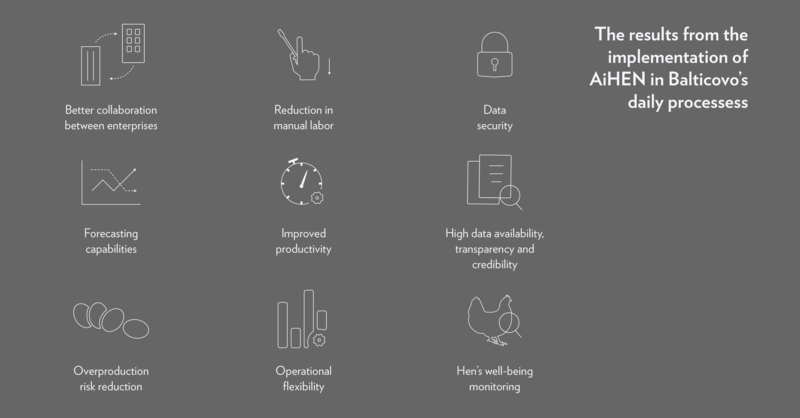 AIHEN helps to monitor the productivity 24/7 and promptly respond to any deviations in the egg production process. It has been predicted to lead to a 2% decrease in the operational costs of Balticovo by the end of 2018.